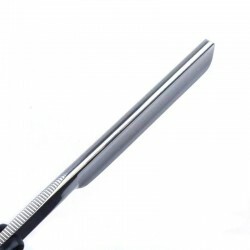 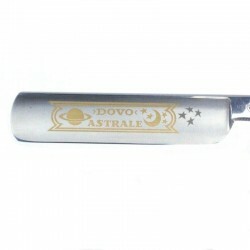 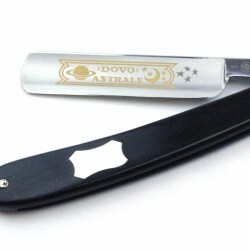 The popular Dovo Astrale 5/8 razor has a half hollow blade which, being slightly stiffer, is particularly suitable for those with a stiffer beard. 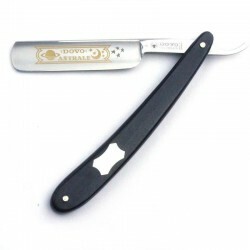 The razor has an attractive gold wash design on the blade. 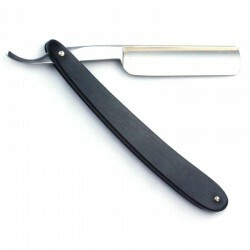 It also has jimping to both the upper and lower tang. 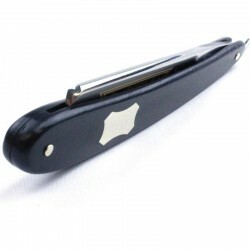 The ebony scales carry an escutcheon plate which could be engraved with the user's initials. Supplied in an attractive blue metal case.